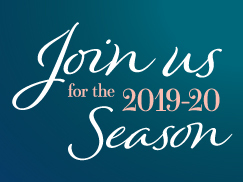 According to a survey of the 22 largest American orchestras, women composers accounted for only 1.8 percent of the total pieces performed in the 2014-2015 concert season. 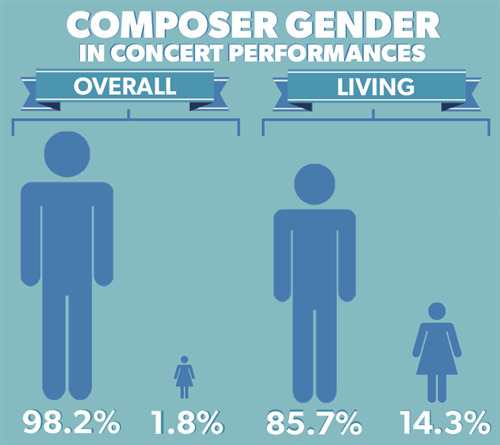 Perhaps more worrying, however, is that women composers only accounted for 14.3 percent of performances of works by those living composers who are writing the pieces that may one day enter the regular repertoire. “These numbers are both abysmal and embarrassing, particularly in this day and age,” said Kristin Kuster. Kuster is a composer who has written for orchestras, opera, wind ensembles, choral groups and chamber ensembles. 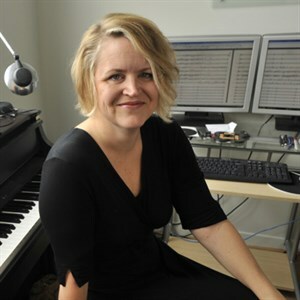 Kuster is also an associate professor of composition at the University of Michigan, and she has written for The New York Times about her own experience as a young composer who was initially hesitant and uninterested in discussing gender issues in her profession. “These conversations get very gnarly, but I think it's important that we keep having these conversations and that we keep pointing out these issues of gender inequality,” Kuster said. Rather than focusing on gender, Kuster’s composer-peers are more concerned about the fact that new music isn’t being programmed as often as they would like. 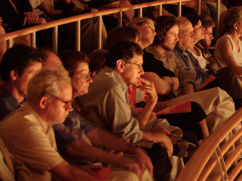 Repertoire that audiences already know will more easily sell tickets, which is why living composers of either gender can feel they are competing for limited new music real estate that isn’t reserved for season staples. Still, Kuster doesn’t think that should detract from what’s becoming a trend. As new orchestra compositions are commissioned each year, the percentage of women composers isn’t changing. The importance and weight of the canon in the symphony orchestra might also play a role in the orchestra lagging behind other areas of the classical world, where Kuster said she believes the gender gap for composers is smaller. “I think the numbers in chamber ensembles are exponentially better,” she said. Small and chamber ensembles, Kuster said, often skew younger and might know more young women composers by word-of-mouth or from their time at universities. 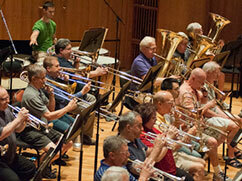 Wind ensembles are another area Kuster said women might fare better. The modern wind symphony or concert band is relatively young compared to the orchestra, and composers only started writing for the ensemble in the late 19th century. There are a handful of professional wind ensembles in the United States, but many of the top groups are at universities. With a much smaller canon of music available, Kuster said wind ensembles are great supporters of living composers and often women composers by regularly commissioning and playing newer works. Gender gaps at the highest levels of a field often are multi-layered issues. High tech Silicon Valley firms have come under fire recently for a lack of female employees. Companies like Google or Twitter have pointed to a lack of supply, which has in turn raised questions about what explicit or implicit messages a young math and science student might receive that could cause her to self-select out of the field because of her gender. Kuster said that in her department at the University of Michigan, the gender balance among composition students isn’t always great but tends to turn out pretty well. However, Kuster said that’s not always the case. “I've done residencies across this country of all size and scope, and the connective thread for all of them is there are very few women in the room,” she said. That disparity has inspired Kuster to work toward starting a foundation to help pay the graduate school costs for some young female composition students. But Kuster said bringing more female students into the classroom only works if the highest levels of classical music express interest in hearing what they write. The 14.3 percent share by women in pieces performed by living composers is undoubtedly a better showing than it might have been a decade or two ago. 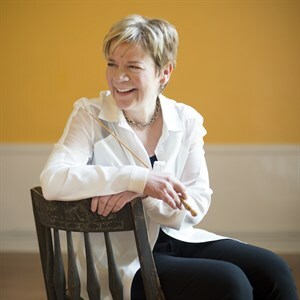 But BSO Music Director Marin Alsop said that closing gender gaps in classical music is not an inevitability just because the field has achieved a few milestones. 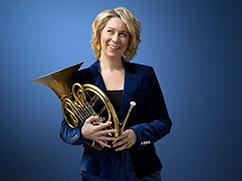 Alsop said when she was starting to come up in her conducting career that she assumed she was part of a larger trend of women conductors making their way in the orchestra world. “I thought it was changing, and then it didn’t change,” Alsop said. There can be a tendency, she said, to celebrate notable firsts or high-profile individual successes and just assume that means a problem is solved. “You can't give up just because the box is ticked,” Alsop said. “Just because Jennifer Higdon won the Pulitzer Prize [for composition] is no reason not to push for the next woman. The responsibility to create that sustained trend, Alsop said, falls to those in positions of influence like her and her largely male counterparts. 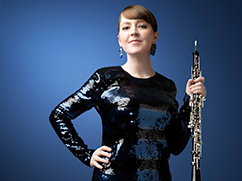 Alsop said she doesn’t think there necessarily needs to be an affirmative action, but there should be efforts toward some evening of the playing field that gives young female composers both a chance to succeed and fail. Allowing more voices into classical music, Alsop added, is necessary for the at-times-bumpy future of the art. She pointed to South America where classical music is seeing major growth in large part thanks to El Sistema.